Last year we released a limited run of Skiklubben Aquavit, a traditional Scandinavian spirit flavored with spices and herbs. 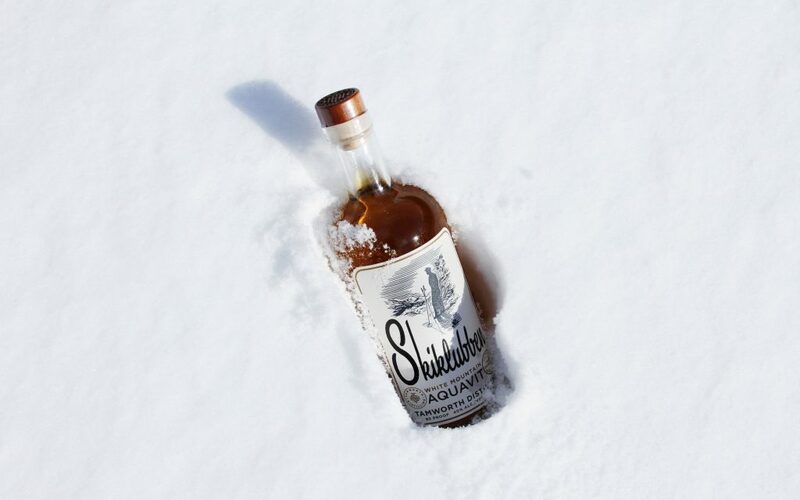 Whether sipped as a pre-ski bracer or an après ski celebration, Skiklubben Aquavit is the perfect spirit for the season, especially when you’re in the White Mountains. We received such a great response from locals, that we decided to bring it back for a second winter, only this time it’s also available at select locations throughout in New Hampshire. Pick up a bottle at Tamworth Distilling, or stop in any of these locations to see what sort of concoctions they’re mixing up with this unique Scandinavian spirit. Shaken or stirred, gin or vodka? The classic argument on a classic cocktail: The Martini. Regardless of how you prefer yours, we’ve got a White Mountain spirit to help perfect your recipe. 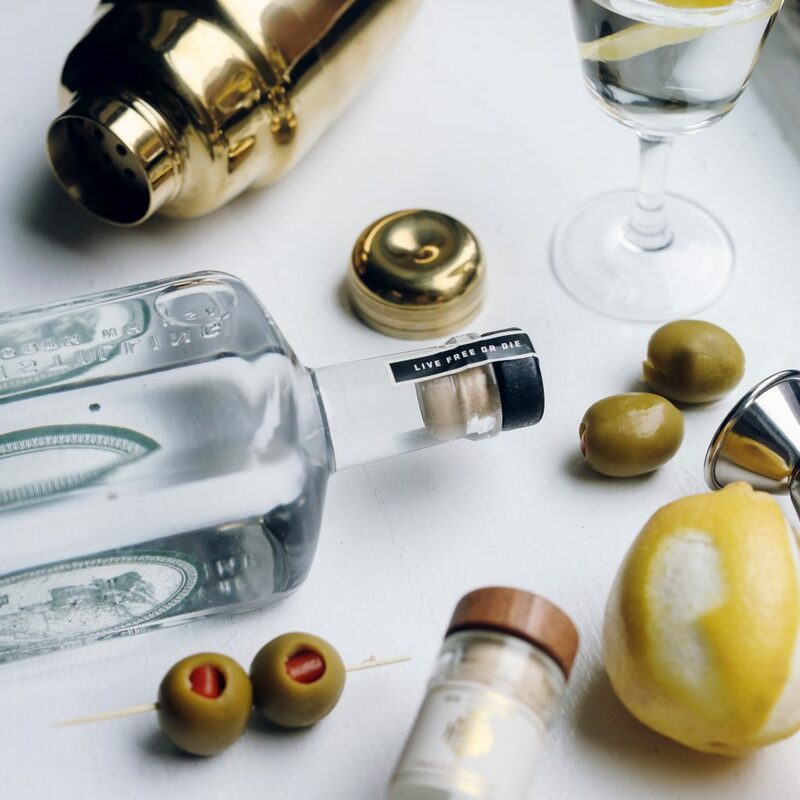 We suggest our White Mountain Vodka in a “dirty” martini because olive juice lends a balance to the vodka’s sweet flavor profile which comes from corn, rye, and malt. 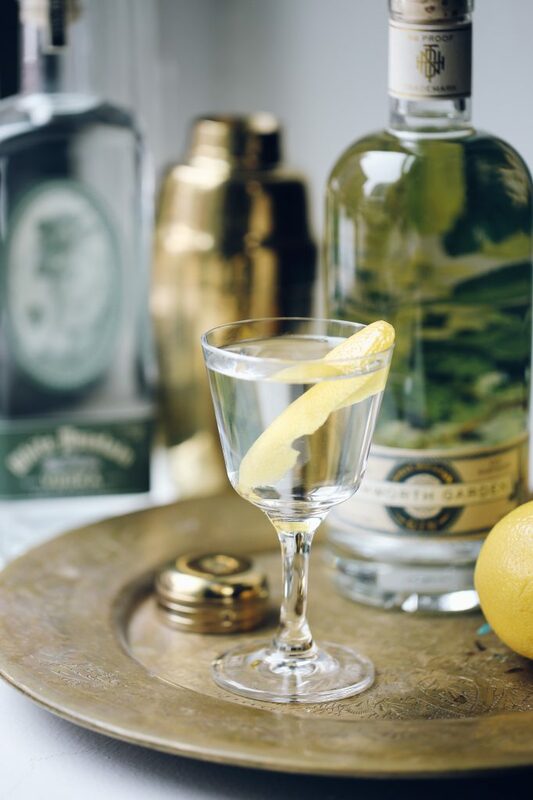 As for Tamworth Garden White Mountain Gin, we prefer to garnish with a lemon. This gin is made with Amarillo hops which offers notes of citrus and pine, making a martini that is crisp and bright. Combine all ingredients in a cocktail shaker and shake with ice. 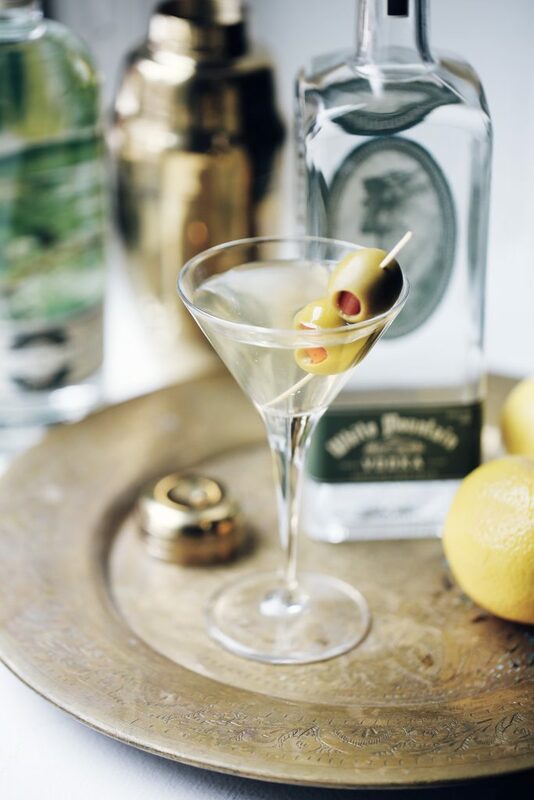 Strain into a chilled martini glass and garnish with an olive or two. Add gin and vermouth to a shaker filled with ice. Stir for 10 seconds and strain into a chilled cocktail glass. Garnish with a lemon twist.